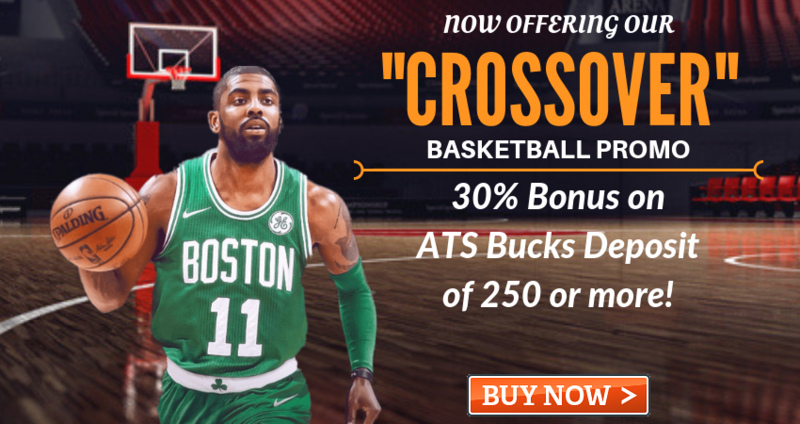 ATS Experts is now offering our "Crossover" Basketball Bonus Members purchasing 250 ATS Bucks or more will receive a 30 Bucks Bonus on their next deposit Crossover only applies to Bucks deposits of 250+ so stock up for the basketball season and team up with one of our ATS Expert Handicappers. When you join ATS Experts you are joining a network of sports handicappers that add true value for your sports entertainment. Please contact us to redeem your Crossover Bonus after your next ATS Bucks Deposit.